Installing a solar power panel is a good way to save money, but without a way to store energy, the panels are only useful during the day. While the sun shines, the panels produce electricity, but that stops once night falls. A battery bank is the best way to ensure that you always have enough power. During the night, when you really need the energy, your solar energy storage bank will provide ongoing electricity. The batteries also store electricity for stormy days or other times when you can’t generate power from the sun. To really get the maximum usage from the solar panels, it’s essential to have this or something similar as a backup. In some cases, the company that installs your solar panels will offer battery installation, as well. If they don’t, you can purchase your own batteries and have an electrician set everything up. It’s even possible to do this yourself if you are confident in your wiring abilities. There are four main types of batteries you can use to store your solar energy. Absorbed Glass Mat: AGM, or Absorbed Glass Mat batteries, are one of the more popular choices for storing solar energy. They are impossible to spill and do not leak. The AGM batteries don’t out gas during the charging process and tend to be more efficient than the other batteries on this list. These do tend to be costly. The fact that they can hold a charge for longer when not in use makes them well worth the cost. Hospitals and airplanes tend to use AGM technology. Deep cycle batteries from boats or RVs are a good choice for those on a budget. You can also find these in carts. Deep cycle batteries are the best choice for those who don’t want to spend too much money, yet prefer something with sufficient capacity to handle the electrical load within the house. Like AGM, these can be used indoors. They do not off gas during charging and offer better performance than flooded batteries. They do not require ventilation which means that your placement options are increased. Basement areas without ventilation would be suitable. Lead acid batteries are commonly used to store solar energy, though they are not your best option. While they will last a long time and are decently priced, they do release gas during the charging process. This can be dangerous. Without proper ventilation, you could end up with an explosion. Due to the danger, it’s best to keep them out of the house and in their own space with vents or even outdoors with a roof over them. Regular car batteries should not be used for solar power. They are not designed for this type of use and will rapidly decline in efficiency. They need to stay charged and using the energy from them will cause lasting damage. They will need to be replaced very quickly. To ensure that your batteries stay in optimum condition for as long as possible, it’s best not to discharge them completely. A simple meter or voltmeter will let you know just how drained the batteries are at any given point. Try to stay above 50% for best results. Your bank should be fairly simple to set up. You will want to use even numbers of batteries. Banks of 2, 4, 6 and 12 are the most commonly used numbers. If you do not have a good understanding of series and parallel wiring, it’s a good idea to have a professional help with the wiring. A solar power panel can be a good investment, but you really aren’t taking full advantage of the system if you don’t have batteries. 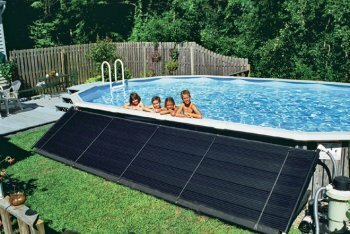 The right solar power system should provide you with more energy than you require. Unless you capture it for later use, the excess is being wasted. Most people use more electricity in the late afternoon and evening, as this is when they are at home. A battery bank allows you to use your solar energy during these peak times, even if the sun has already gone down. It is a wise investment and one that is necessary to get the most from your solar power panel system.